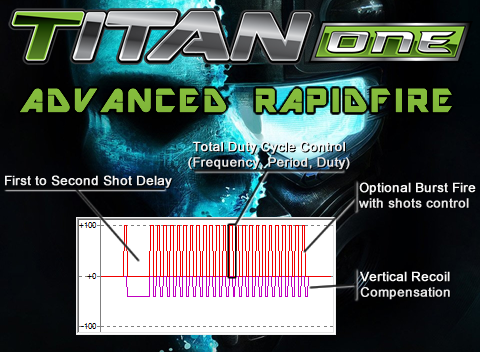 The Division Gamepack (by PROTOTYPE) for Titan One features an NEW and EXCLUSIVE Advanced Rapidfire MOD. 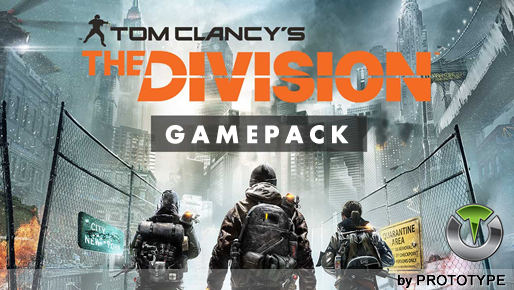 Titan One Exclusive Feature: The Division Siege Gamepack (by PROTOTYPE). Change the sensitivity when aiming to be more accurate. Change the sensitivity when not aiming to be more accurate. The new and exclusive Advanced Rapidfire MOD features an unprecedented control of the parameters and physics inherent to the weapons models of modern third person shooters, such Tom Clancy's The Division. Same as option 1, but activates only when aiming. Same as option 1, but activates only when not aiming. 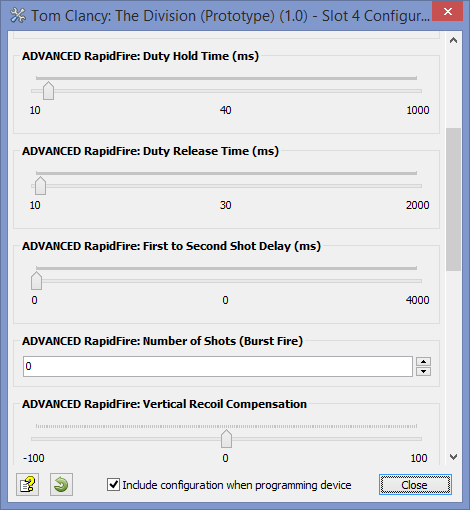 When rapid fire is enabled, you can turn virtually any semi automatic weapon into a fully automatic weapon. This creates a very unique advantage for players using semi automatic weapons. If you are tired of constantly pressing the left thumbstick to make your character sprint, Easy Sprint is just what you have been looking. Modern shooter games applies a "dead-zone" in the trigger buttons, which means the trigger (both for Fire or ADS) should be pressed almost half way down to be registered by the game. With Hair-Trigger MOD you can ensure your weapon will fire or ADS as soon you touch the correspondent trigger. If you like a layout but want to swap the triggers, just enable the mod! If you are tired of constantly spamming the pick button to loot everything. Auto loot is just what you have been looking. Don't worry about the layout you use, all mods will work!